Create a traditional, ultralight kayak with your own hands. 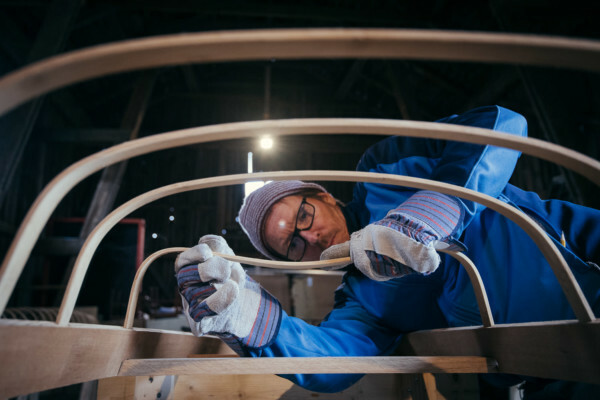 Seawolf Kayak teaches skin-on-frame building courses throughout the world—from Addy, WA to Helsinki, Finland. How a kayak is built. Locations represent the nearest major city. Cost includes tuition and materials. Is your preferred workshop full? Once in awhile, a space opens up. Check back often or email us to be placed on a waiting list. Learn how to host a workshop, and we’ll come to you! Previous workshops have been hosted in: London – Santa Cruz, CA – Addy, WA – Harvard, MA – Seattle, WA – Portland, OR – Berlin – Helsinki – Teton, ID – Missoula, MT – Homer, AK – Cumbria, UK … and the list keeps growing! Workshops run 9 days: one full week plus a weekend. We build from 8:30am until 5pm most days. (Of course, some days we finish earlier and some days we run a little longer.) On the last day we take completed kayaks out to paddle on local water. We cut and bend wood using mostly hand tools, creating complex mortice and tenon joints. We use steam to bend amazing curves into wood, even the elliptical kayak coamings (cockpit rings). We learn to sight and see the hull shape as it forms. 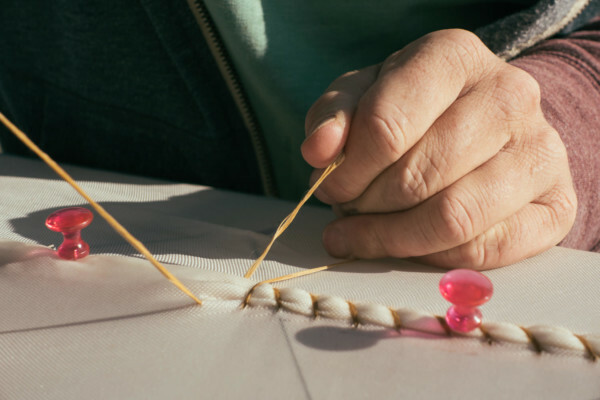 We lash the pieces together without any metal, then sew the skins on in the traditional Greenlandic style. We offer 6 distinct kayak models, each designed for a specific range of kayaking interests and level of experience. Each participant chooses their own kayak model prior to the workshop. That is to say, at any given workshop 6 participants might be building 6 different boat models. Compare our models here. Greenland paddles have been taking the kayaking world by storm, for a good reason—they are better for long distance paddling and nicer on your shoulders and arms! 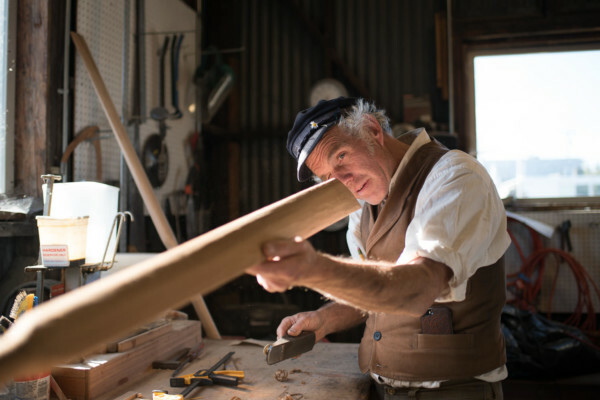 For many, paddle-making is their favorite part of the workshop. More info about Greenland Paddles. We encourage students to help out during our two prep days before the workshop. We’ll show you how we pick and rip the lumber, as well as how to build the bending forms and deck beams. 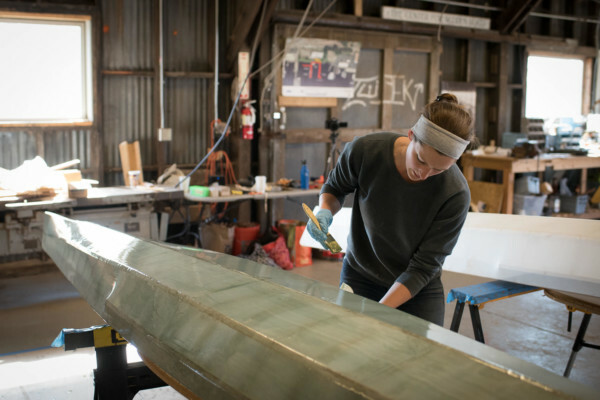 If you plan on building another boat after the workshop, what you learn during prep will be invaluable. See how modern skin-on-frame kayaks are made: step-by-step. Step 1, Register: To register for a workshop, email us with which workshop you’d like to attend. We will respond as soon as we can with course and registration details. Step 2, Deposit: To secure your spot, a deposit for half the course tuition is due upon registration. The remaining amount is due on the first day of the workshop. For workshops in the United States, we accept check, cash, money order, or credit cards via Paypal (add 3%). Non-US Workshops: for workshops outside of the United States, payment will be handled by your local organizer. Please see your registration email for details regarding payment. Deposits will be fully refunded for cancellations made 3 or more weeks prior to the start of the workshop. If you cannot attend the workshop, please let us know as soon as possible, as it takes time to fill empty spaces. Deposits for registrations cancelled within 3 weeks of the workshop start date are non-refundable. Workshops require a minimum of 5 participants to run. Workshops with insufficient registrations may be cancelled within one month of the start date. Because of this policy, we strongly recommend participants to purchase refundable airline tickets. In the event of a workshop cancellation, all deposits will be fully refunded. London Kayak Workshop in November! 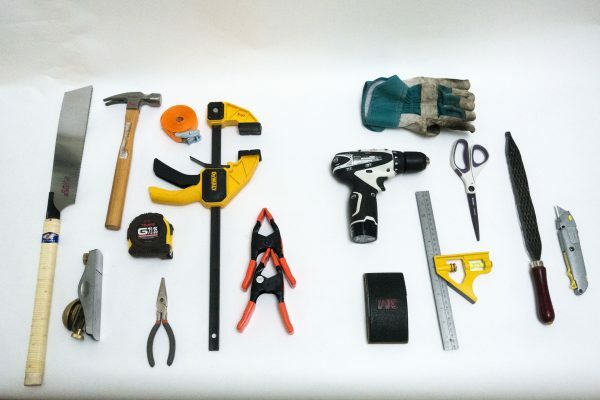 We have curated two tool lists for online shopping. Between Amazon.com and Home Depot, you can find everything. Please note that there are duplicate items in the Amazon list, as items often disappear, so you have options. 2 x 8′ cam tie-down straps, not ratchets. Needed for building (on day 1!) and for transporting your kayak. Closed cell foam pad for sitting in the kayak. These pads can also be found online, outdoor stores, or at Army Surplus stores. An old yoga mat will work, too! Paddling clothes & PFD for final day. Everyone must have a PFD (lifejacket) to paddle with the group. *Combination square, metric + imperial. Example on Amazon. Fingerless gloves. See our DIY version! Details please! Read more about the required toolkit here. Lodging options will be provided in your email after you register. You can also inquire about them before you register as every location has a very different setup. As a general rule, in summer in rural areas there is camping, and in winter or in big cities there are hotels or custom lodging options. Many kayak workshops are far away from convenient delis or stores for lunch. For these we often bring lunch, or the class can choose to pool together to get sandwich ingredients, etc., for lunch. It is a good idea to bring lunch on Day 1 of the workshop. It is very common for our boatbuilders to get friendly and do dinners together. Typically on Saturday night or the night before our big launch day, the class gets together to celebrate somewhere fancy enough for us, but with standards low enough to let us dusty boatbuilders in. The best way to transport our kayaks is KAS Transport. They may take up to 3 months, but your boat is most guaranteed to be safe. Commercial LTL shipping works as well but you are placing your boat in the hands of shipping gorillas so we advise you to build a crate. Cost of shipping across the continental US is around $500 by LTL freight.